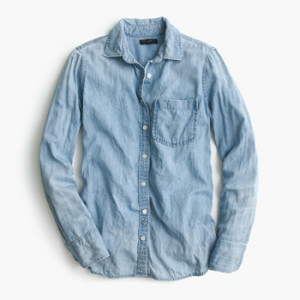 The Chambray shirt is one of the most versatile pieces you can have in your wardrobe arsenal. 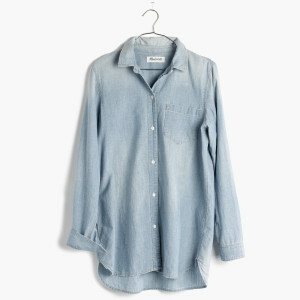 It’s a classic that can be worn multiple ways and a must have for any closet. 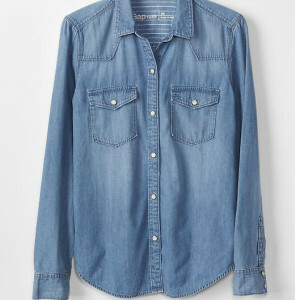 It goes with everything from black pants to skirts to even denim on denim (be sure to choose dark denim to balance out the lighter top)!